Out of all those 玫瑰 of various colours, which colour do 你 prefer? Which one do 你 prefer ? 玫瑰 in vases...Which is your favourite ? Which one do 你 like better ? What are some 电影院 with scenes with Roses? There’s nothing secret about the red rose’s symbolism of love. Valentine’s 日 would hardly exist without this bold and dramatic bloom. The ultimate symbol of romantic 爱情 and enduring passion, the red rose also conveys respect and the creative spirit of love. Representing true 爱情 stronger than thorns, the red rose is known universally as the lover’s rose. 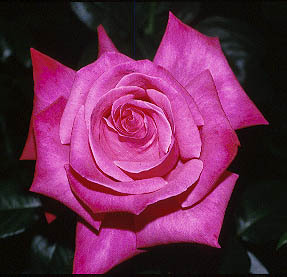 This rose is named after which actress ?